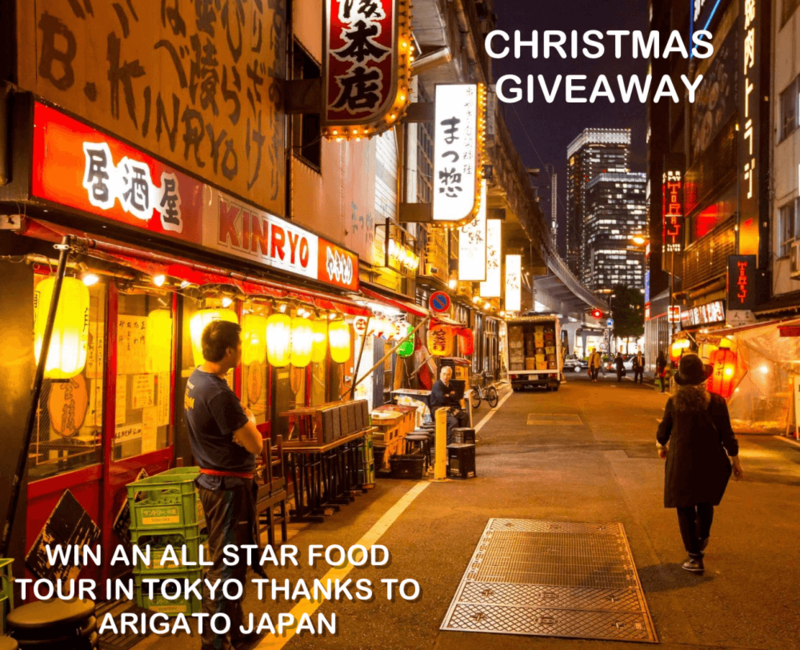 Arigato Japan Christmas Giveaway - Win a Food Tour in Japan! 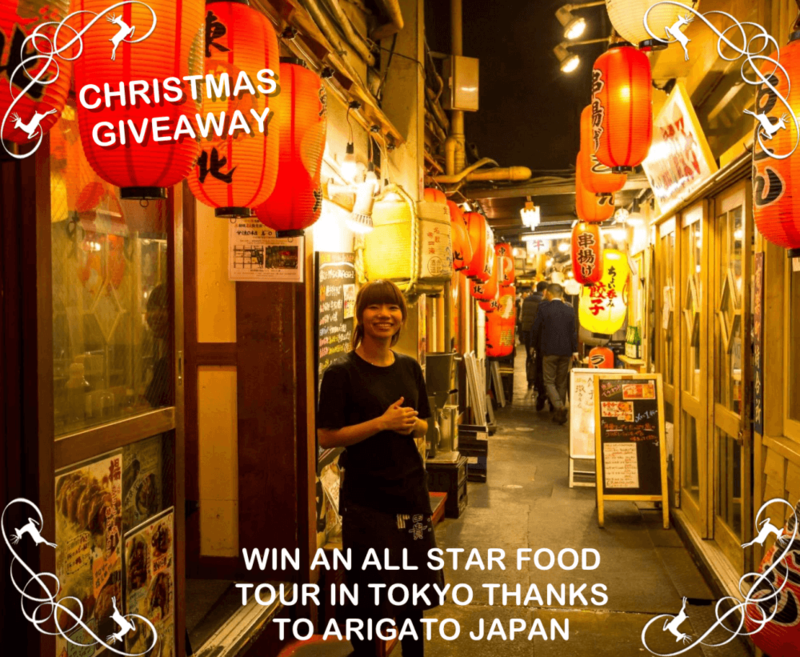 Arigato Japan Christmas Giveaway – Win a Food Tour in Japan! It’s already the time sparkly time of year, the smell of the Christmas trees, the beautiful illuminations and of course the warming comfort food. To thank you all for this great year supporting us, the Arigato Japan team wants to offer you a 3-hour food tour for 2 in Tokyo! Also, because there will can be only one winner, we are also offering a second gift– a 10% discount on all our tours for a month, with the code AJXmas10. The tour has to be booked before January 8, 2019 but the reservation date doesn’t matter! Christmas in Japan is a bit different in traditions and customs than the one we have in western countries but the food still has an important place during this holiday. And because food is one of the most extraordinary things in life, we really would love you to have the opportunity to join one of our food tours in Japan for FREE. Answer the 3 questions below and try to win a 3-HOUR FOOD TOUR for 2 people in Tokyo! The winner will be able to join us for FREE on our most popular tour: AllStar food tour. Please note that we need your email address to contact the winner. In which places can you join an Arigato Japan food tour? Can we offer private tours? Yes, of course we are more than happy to share more intimate food experiences with our guests. Can vegetarians and persons with allergies join the tours? Yes, of course we can accommodate! No, because we love meat and fish. Deadline to use within 2019 – Please note that some blackout dates might apply. Please note that we don’t offer transportation (flight tickets etc.) or accommodation, we only offer the food tour. End of giveaway date: January 7, 2019. 8pm Japan Time. The winner will be randomly selected and announced a few days after the end of the giveaway. 1 winner – 2 free tickets.